Size: approx. 20-30 mm. Photo: 06/15/11, 10 am. Here's a little neighbor feasting on a jasmine flower. The idea for my humble website was born shortly after taking this photo. Looks really pretty or doesn't it? My first attempt to assign this insect was pretty wrong. 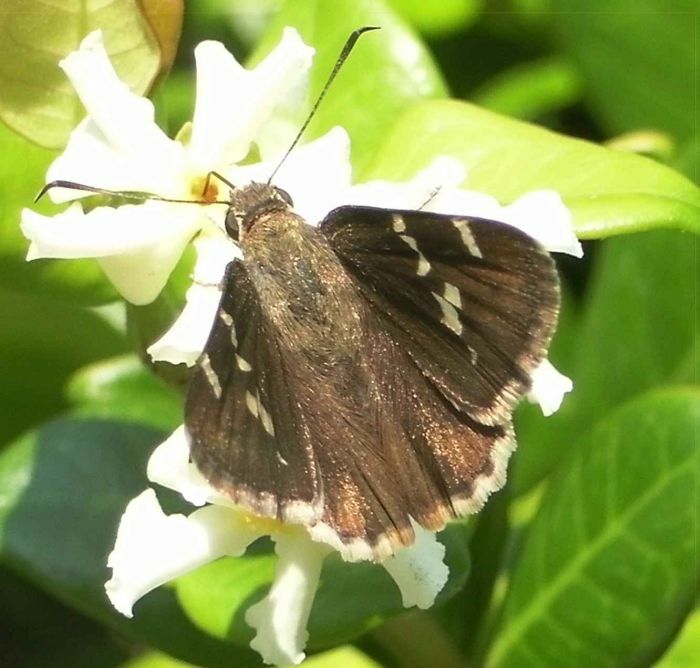 Now I believe that it's a 'southern cloudywing' (Thorybes bathyllus). The males are highly territorial.